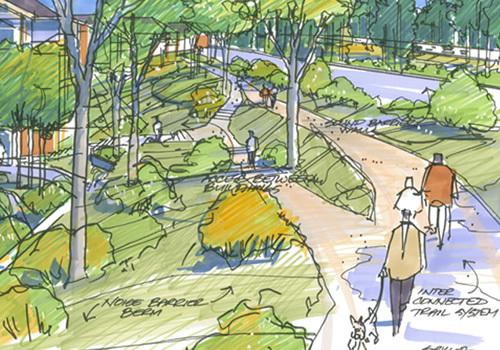 The proposed development plan prioritizes greenspace and designs the site to carefully protect existing habitat, wetlands and mature stands of trees. 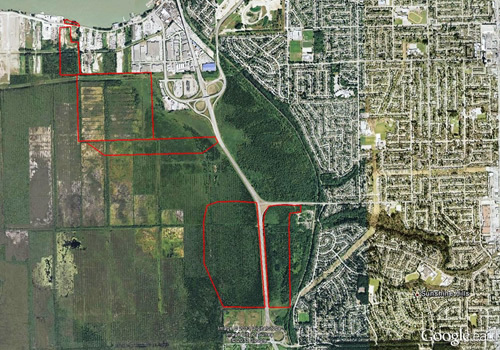 In total, 35 acres of the 89 acre property (39%) would be open space. 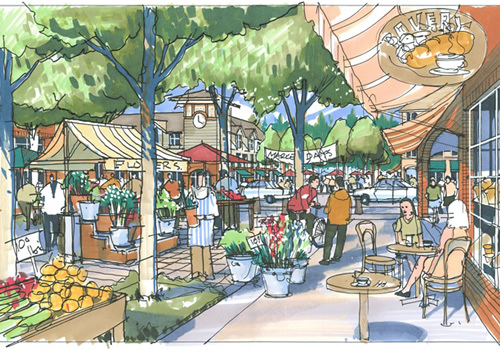 The residential area would be made up of 450 (3 story) townhomes and up to 650 (4 story) apartments. 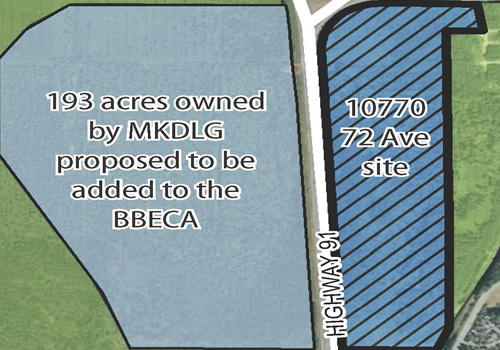 The neighborhood commercial area would have a maximum of 130,000 sq feet retail, including a grocery store to serve the residents in this walkable community.